Here’s another listing in the Wessynton community of Alexandria for a 4/3 Meadow model, a nearly 70-foot-long, 2,500 square foot space with wall of windows to view the natural surroundings and fireplace room divider between the dining room and living room. This four-level home, located nine miles south of Old Town Alexandria, was designed by Deigert & Yerkes, one of the leading mid-century modern architectural teams in the D.C. area. 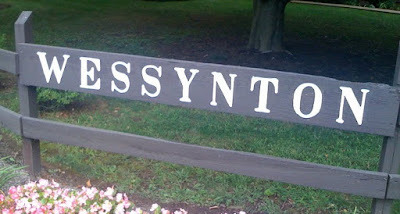 Wessynton was built by developer Miller & Smith, which also built Truro in Annandale and Drumaldry in Bethesda. The house is open Sunday from 12 to 3 p.m.